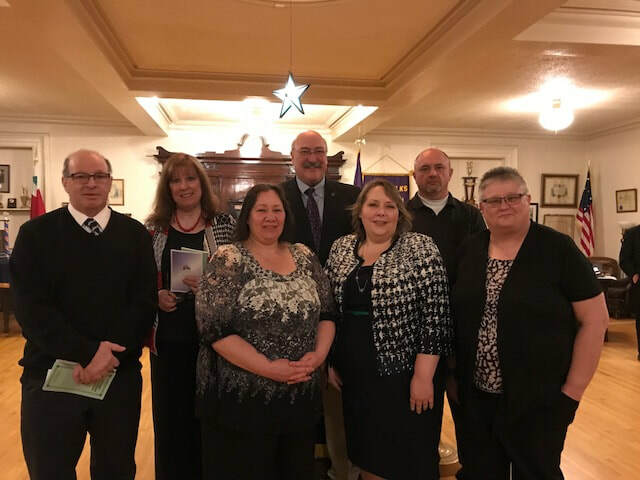 Pictured are our newest lodge members: Shawn Burridge, Sherri Metz, Lisa Bragg, Vickie Rowe, Brenda Rice, William Kelleher, and David Gill. 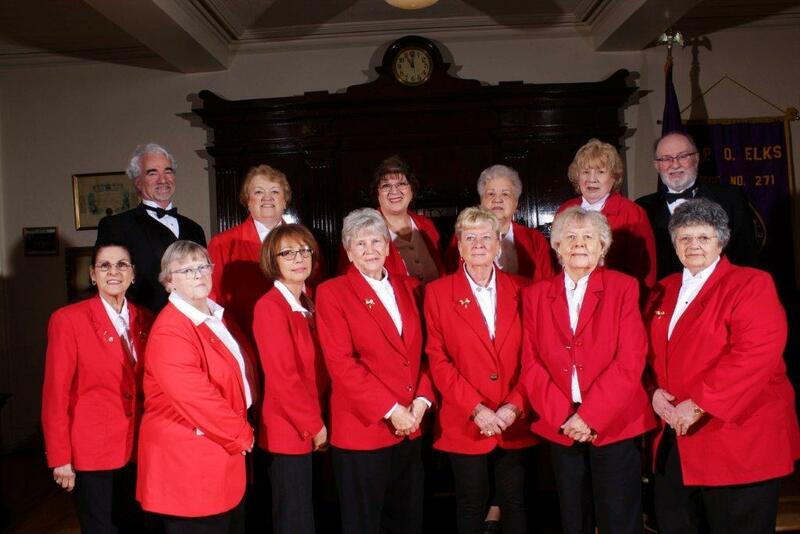 Be sure to give them a warm welcome when you see them around the lodge! 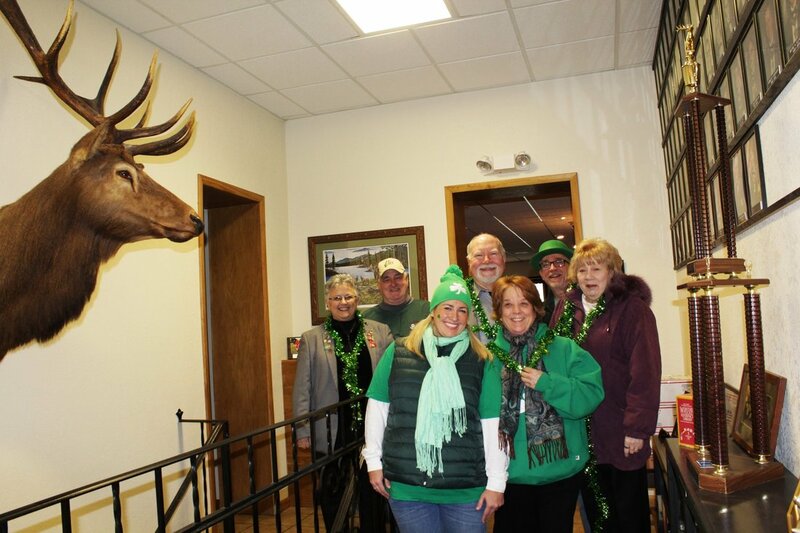 Members gather before marching in the 2018 Oswego St. Patrick's Day parade. 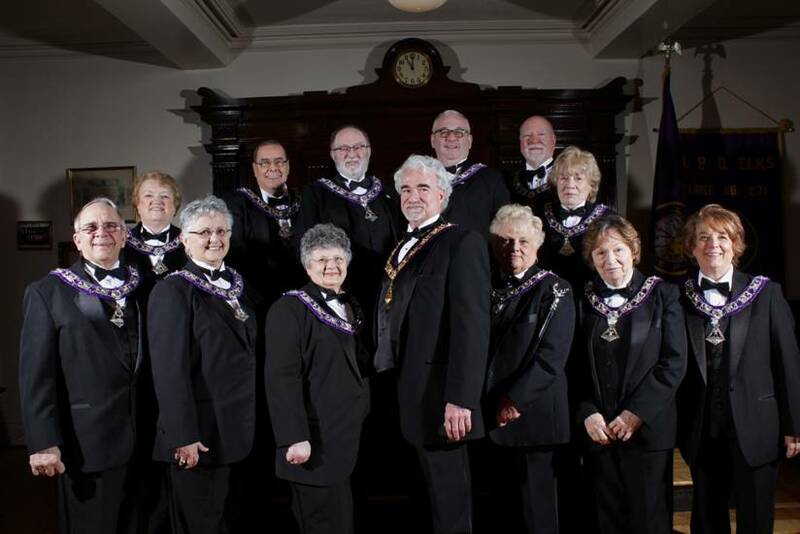 Pictured are Esquire Christine Holmes, Dave Longley PDDGER, Esteemed Lecturing Knight Bob Holmes, Eric Cronk PER, Good Member Jen Longley, Secretary Lolly Malone, and Inner Guard Linda Sawyer. 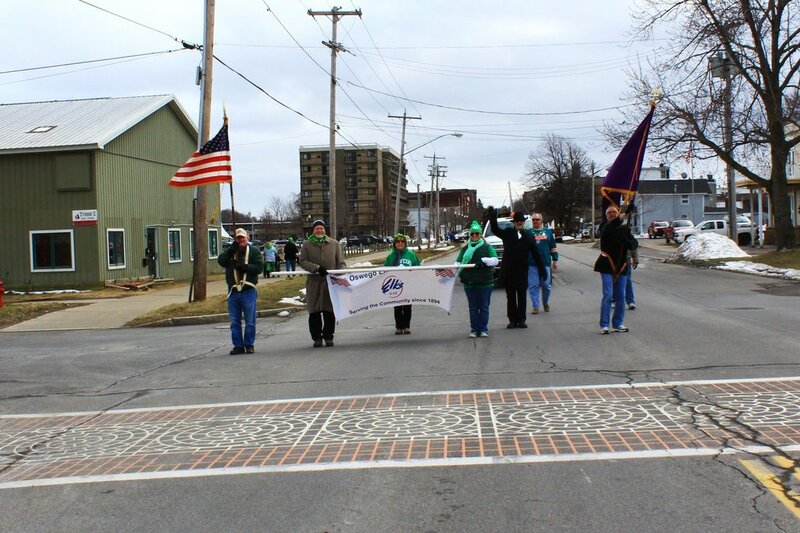 Marching in the 2018 St. Patrick's Day parade in Oswego. 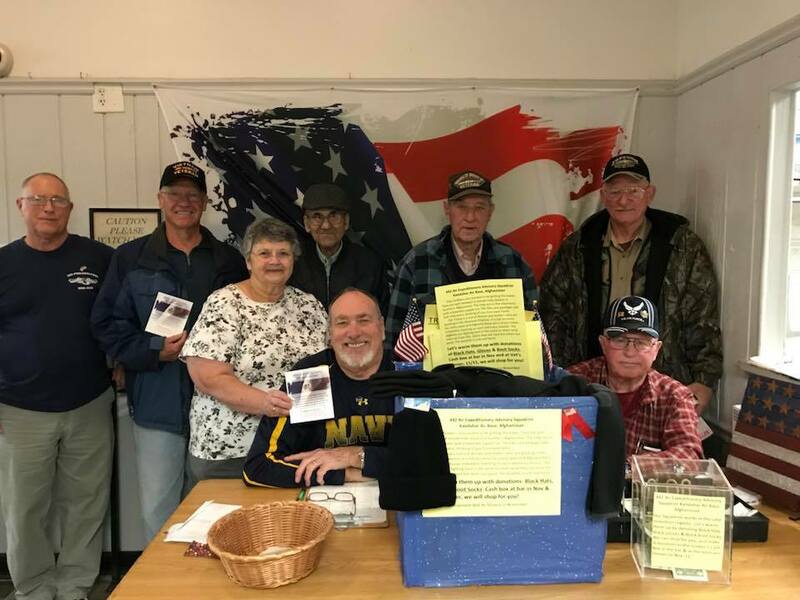 Pictured (l to r) Dave Longley PDDGER, Esteemed Lecturing Knight Bob Holmes, Secretary Lolly Malone, Good Member Jen Longley, Esteemed Leading Knight Nelson Metz, Good Member Ron Rookey, and Eric Cronk PER. 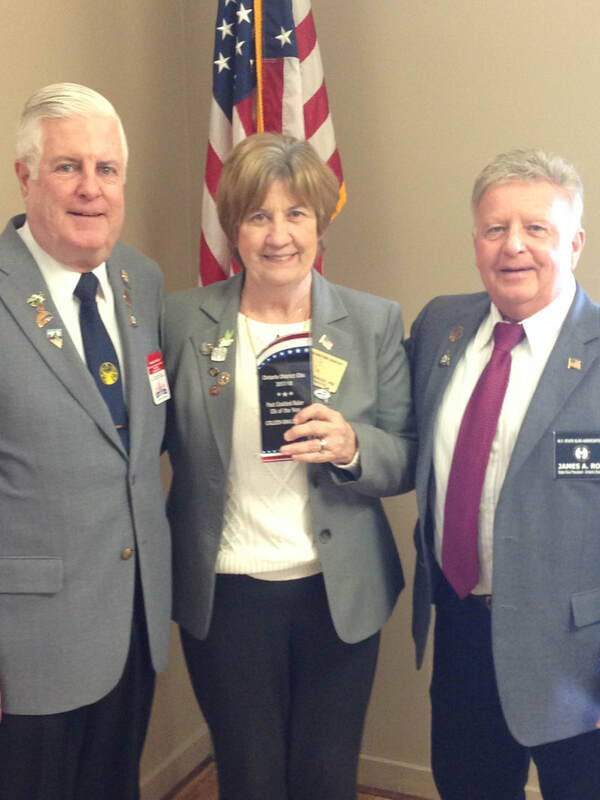 Veterans Committee co-chairs Jim Dillabaugh and Bernie France and Loyal Knight Carol Simpson are joined by attendees of our Veterans Day fish dinner. 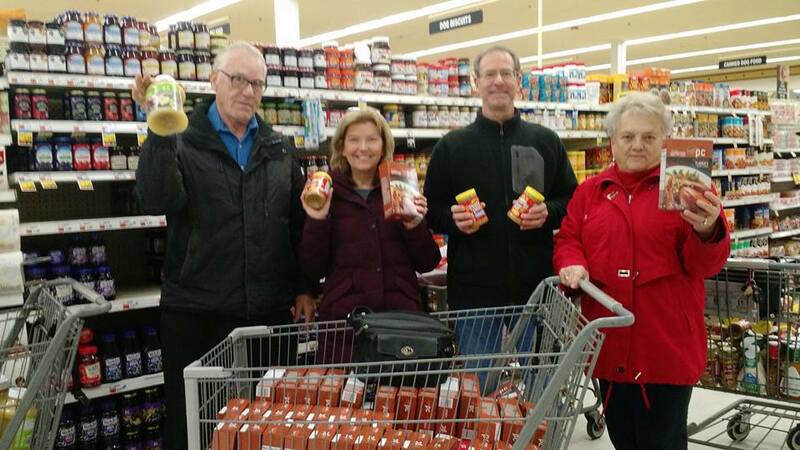 PER Bill Kerfien (far left) and Chaplain Mary Kerfien (far right) are joined by Kathy and Mark Nice to purchase items for the annual Christmas basket donation. 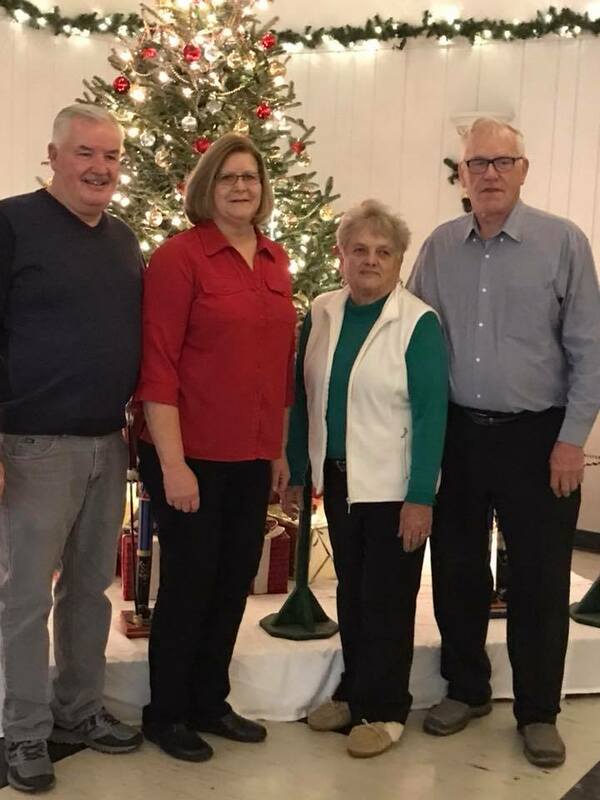 Thanks to Dan and Diane Rupert and Mary and Bill Kerfien for making sure that bingo runs smoothly each Monday evening.